Obituary for Joyce Ann (Mills) Lindsay | Henry Funeral Home, P.A. 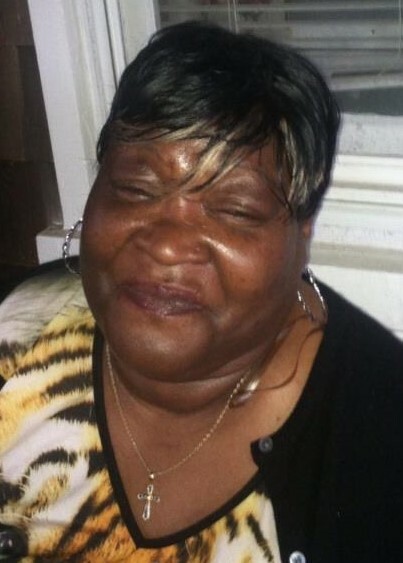 Joyce Ann Mills Lindsay, 67 of Easton, departed this life on Monday, April 1, 2019 at Univ. of MD Shore Med Center at Easton, Easton, MD. Born October 1, 1951, she was the daughter of the late James Shields and Eliza Mills and John Croom. She attended the public schools of Talbot County and was a graduate of St. Michaels High School, Class of 1970. After graduation , Joyce moved to Detroit, Michigan and was employed as an Assistant Daycare Provider. Upon returning to Maryland in 1982, she became employed with Wheaton Tubing as a Quality Control Inspector. Prior to her decline in health she was employed with McCord’s Laundry. She met and married the late Michael Lindsay. Her hobbies were reading, people watching, and she loved being around her family. Joyce had a big heart. In addition to her parents and her husband, she was preceded in death by a sister Barbara Mills Allen and a brother, James Shields. Her memory shall be cherished by two daughters, Teresa L. Mills (Prince Georges County, MD) and Taranisha N. Mills (Easton, MD); grandsons, Lamar Mills, Aaron Mills, Cameron Mills, Christian Banks and Lamiah Henson (all of Easton, MD); a devoted stepfather, John Croom; cousins who were like brothers, Gregory Mills (Easton, MD) and Michael Allen (Cambridge, MD); five sisters, Marsha Mills (DC), Diane Croom (Atlanta, GA), Debra Croom and Muriel Croom (both of Virginia) and Pam Ballard (North Carolina); Aunt, Lucille Handy (District Heights, MD); a foster sisters, Kim Pritchett, Desiree Bryant and Tina Durham; a special nephew, Lynell Allen; a devoted fiancé for over 17 years; Anthony Johnson; special cousins, Pauline Bailey, Pam Clay (Robert), Phyllis Ennels and Margaret Handy and a host of nieces, nephews, cousins and friends.